Whoosh Come True | The Kids Beat | Kids VT - small people, big ideas! There are so many reasons to love being 11 — and grade-school dominance is just one of them. In Vermont, every fifth grader skis for free. That's right. 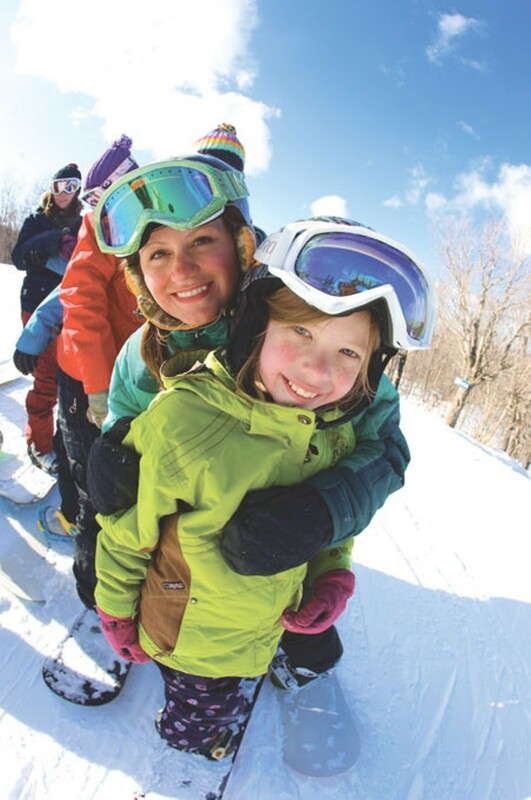 The Fifth Grade Passport Program provides coupon booklets containing free lift tickets and trail passes for young snow lovers good for up to 88 days of no-charge skiing and riding at Vermont's alpine and Nordic resorts. There's only one catch: accompaniment by an adult with a full-price lift ticket. Last year, 2400 middle schoolers hit the slopes courtesy of the program, which has a new, easy-to-use online ordering system. There are worse things to get hooked on than downhill skiing in Vermont. Fifth grade passport program: Passports are valid December 1 to May 1. Purchase online or by mailing a report card or birth certificate and a $10 processing fee to Ski Vermont, attention Fifth Grade Passport, P.O. Box 368, Montpelier, 05602. Info, skivermont.com.